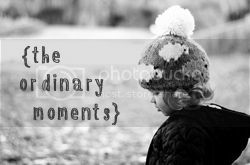 I can’t believe it’s been 5 months since I last wrote an ordinary moments post! I’ve not felt very inspired by blogging recently. I think with starting my business and now being 36 weeks pregnant I’ve been either too busy or too tired to really think about blogging. But my head now seems to be buzzing with ideas for posts, so hopefully I’ll find the time and energy from somewhere to actually write them! So this week I was going to write about moving little T into a big boy bed, but I guess that will have to wait for another time, as this week’s events have been completely dominated by the EU referendum. My ordinary moment was going to vote with little T. It’s not an every day event but it’s certainly not the first time either. I’ve voted in every general and local election since I turned 18. I passionately believe in democracy and want my children to grow up understanding the power of their votes and to fulfil what I believe to be their civic duty. I want them to have an understanding of politics, social responsibility and justice. When I was growing up politics was never a taboo and I spent many hours debating late into the night with my dad (although I don’t know that you could really call it a debate when we have such similar political positions!). This is what I want for my children. I certainly hope that they share my political leanings, but if they don’t, I want them to learn the skills to enable them to respectfully put their views across without it descending into the name calling that has been all over social media over the last couple of days. Anyway, on Thursday little T and I had a nice trip to the polling station. It’s a short walk from our house and we took our time getting there and back as we had nothing else planned for the day. We counted the bees and spiders we saw and took the time to stop and smell the lavender. I remarked that one of the joys of having a toddler is being able to stop and take the time to appreciate all the little details in life without always having to rush around. I got my ballot paper and firmly drew a cross in the appropriate box. The lady at the polling station was great with little T and asked if he wanted to post my ballot paper into the box, which he loved doing. It was all very pleasant. The next morning we woke up to the news that the UK had voted to leave the EU. All over the country people had been putting crosses in little boxes in seemingly insignificant events like mine and T’s trip. So many people’s ordinary moments had somehow turned into something historic and suddenly our country seems like a very different place. I’ve previously written about how disappointed I am with the result and how it has made me fearful for the future. But I also appreciate that we live in a democracy and have the right to influence politics (although whether we should ever have had the option to make such a huge decision that even the brightest minds in our country can’t predict the ramifications of is another matter). As much as I disagree with the result, we have to move forward and make the best that we can of it. The current calls for a second referendum strike me as somewhat ridiculous. Demanding another vote because you don’t agree with the result seems incredibly childish. It reminds me of times growing up when I won a game against my brothers and they would claim that it was just a practice. I hope that my fears turn out to be unfounded. I hope this doesn’t pave the way for a rise of intolerance and fascism in this country. I hope that the older generation (as the majority of Leave voters were) hasn’t gambled with mine and my children’s futures and lost. Only time will tell. I hate politics and all that goes with it but we did vote. What i dont like is the way that people feel they can talk to others because the vote didnt got the way they wanted. I thought we were mean’t to live in a free country however it appears that the memo should have said “make sure you all vote, however vote in other wise your dumb and racist” it’s just turned into a bit of a mud slinging match and its all a bit sour! Like you I agree we need to move forward and work together to be the best the UK can be! I think a lot of people feel very strongly about whichever side of the fence they came down on and this has led to some heated (and often unpleasant) things being said. But the vote is done now and we just need to live with the consequences! I disagree too haha its a worrying time! I find politics fascinating, I am amazed by how differently people see things or prioritise things, but yes lets see what happens! We still need to live life and enjoy the small things with our kids so remember there is still goodness in the world around us despite it feeling chaotic! I think I could definitely learn from your positive attitude and remember that there is still a lot of good in the world, even if we are seeing rather a lot of the murky side of human nature at the moment.